I have created, modified, updated and maintained hundreds of webs not only as a freelance but also for other companies when I was working for them. I always take special care to make them work in legacy browsers as well as in the newest ones, so they are really cross-browser and cross-platform. Currently, I own more than 40 domains. Here I will show you only some of the webs I have made. You can also find some web apps and web games in the Apps and Games categories respectively. Just a compendium of some of my games where people can play or download them. This very simple and minimalistic single-page website can be downloaded here. In the case your browser doesn't support HTML5 and CSS3, this porfolio will still work. Similarly, CSS is not necessary but it is recommended. 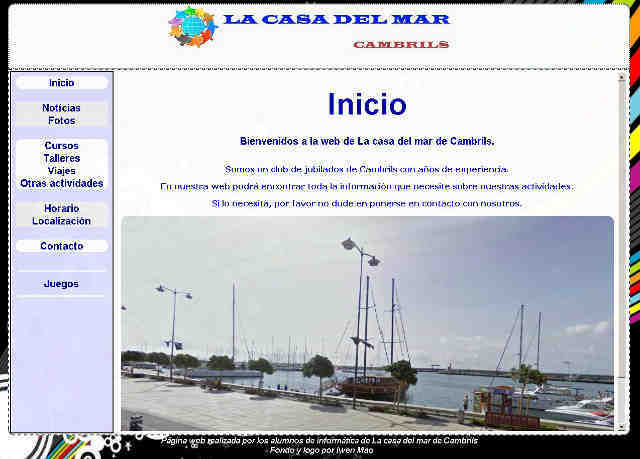 Website for the "Club de Jubilats de la Casa del Mar de Cambrils" (Casa del mar senior club of Cambrils) which I made with my students when I was teaching computers to elderly people. I am proud of them! The available languages are Spanish and Catalan. It includes news, photos, information about courses and other activities, schedule, location and different games. Forum about EDC (everyday carry) items among many other things. Made using MyBB. This forum supports two languages: English and Spanish. Forum about wine. Made using SMF. This forum is in Spanish language. Companies can buy there many EDC items, survival tools, camping gear and other related stuff. It started using PrestaShop or Magento or another CMS (I do not remember which one). Later, I used TomatoCart. But from 2015 it uses a personalized engine made from scratch. Website for Danton 2007, S.L. which is a construction company. Made together with Yasmina Llaveria del Castillo. It is available in Spanish and Catalan languages. It includes location, contact form, image gallery, forum, links, web counter, etc. RCD Espanyol Supporters' Club of Cambrils website. Made together with Yasmina Llaveria del Castillo. It is available in Spanish and Catalan languages. It includes location, subscription form, contact form, activities, images, videos, some games, poll, forum, links, a funny web counter, etc. Website for a restaurant chain. Made together with Yasmina Llaveria del Castillo. It is available in Catalan, Dutch, English, French, German, Italian and Spanish languages. It includes meals, desserts, beverage, menu, photo gallery, location, contact form, forum, etc. Pack with the websites for some of my games which are hosted in TuxFamily.org. It includes some Opera widgets of some games (for legacy versions of Opera), Google gadget for Buscayasminas game, Windows ports using Server2Go or php-webkit (of La carta más alta, Yasmina's Quest and La villa del seis in both Spanish and Catalan languages), some Drupal modules, many modifications of some games made by others, some links to websites that talk about the games or use them (modified or not) and some more things. Online shop for Alba Patchwork company, including back-end control panel to keep it updated and make any change (add languages, include a login system with users, etc). Extremely powerful engine that uses 51 tables of a mySQL database. Even though it only uses one language (Spanish) so far, the engine is ready to support many languages at the same time. The page will work even without CSS support! So very old browsers will be happy about that. This web can also be used in text based web browsers such as Links and Lynx. The package included contains many different versions of the website as well as a news bulletin prototype and a pamphlet (brochure) experiment. Website for a head shop and smart shop. It included order form, contact form, forum, chat, guestbook, mailing list subscription form, etc. The package also includes a catalog, a promotional CD and some other things. Only three issues where released (all using Spanish as the main language). The fourth issue, which I was doing until 2000 or 2001 (I cannot remember), was never neither finished nor released but the last version I could found is included in this package. 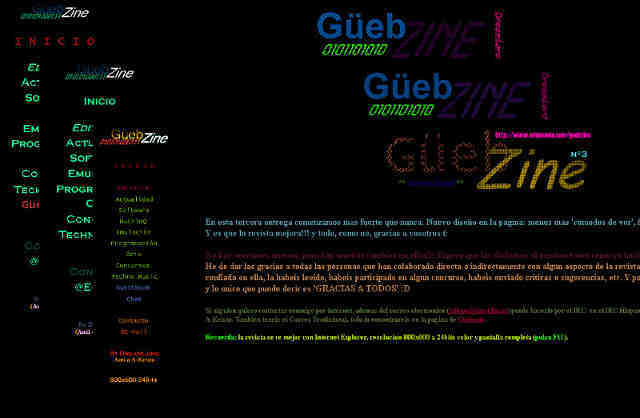 This package also contains installers and launchers (one of them was made by CHIP) and different versions of the official website where people could download this webzine. Del pam al metre (1997): web prototype for the maths subject at my old school. Honor Software (1998): website about a software development team I tried to organize recruiting people. It includes a simple executable program with the instructions to join in. 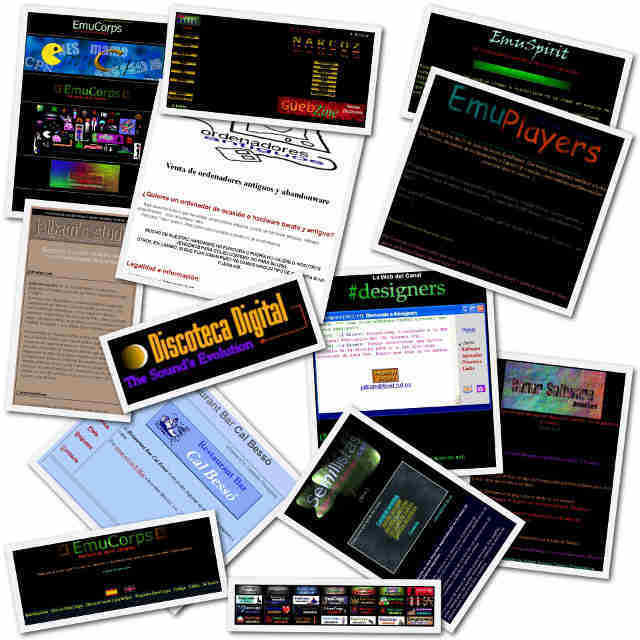 EmuPlayers (1998): website prototype about emulation. 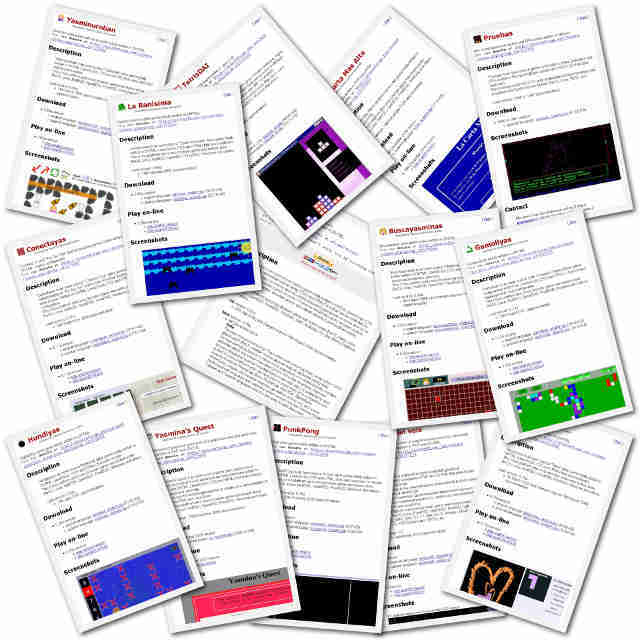 EmuSpirit (1999): website prototype about emulation. I think some files are lost. Illusion Narcoz (1999): website prototype about emulation, Monkey Island, music, software, etc. EmuCorps (1999-2000): website of a club against emulating new systems which still were being commercialized because otherwise big companies as Nintendo or Sony could fight against emulation world since their would lose benefits (in that time, they were not happy with UltraHLE and Bleem! emulators). It includes many banners that affiliates could use. 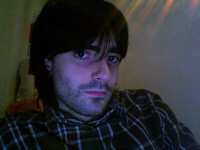 La web del canal #designers (2001): a web site for an IRC channel. EmuHeart (2001): website prototype about emulation that included a form so that the subscribers could receive news by SMS. Many files are lost. Semillistas (2002): website prototype for people who wanted to buy or sell seeds. jalbam's studio (2002): website prototype to find clients who wanted to have a website made by me. 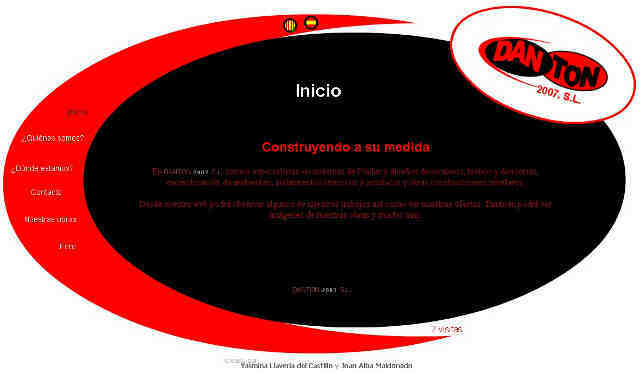 Discoteca Digital (2002): website prototype for a discothèque (nightclub) where I used to go to dance with my friends. 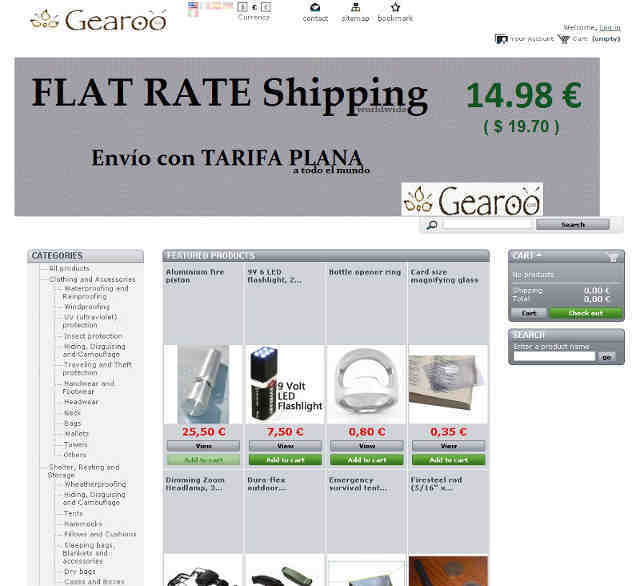 Ordenadores antiguos (2004): website prototype I made to sell old hardware and software. El tratamiento del hachís website (2004-2006): a website to let people download the book about hashish I was writing (I do not take drugs!). 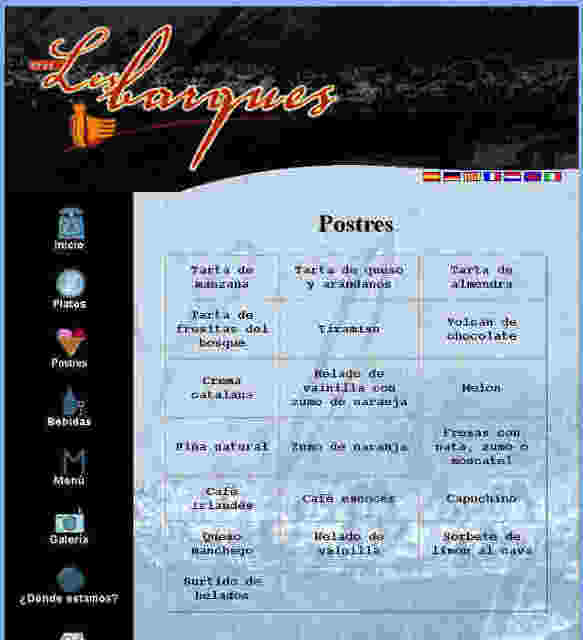 Restaurant bar Cal Bessó (2005): a website prototype for a bar-restaurant. Made with Yasmina Llaveria del Castillo. 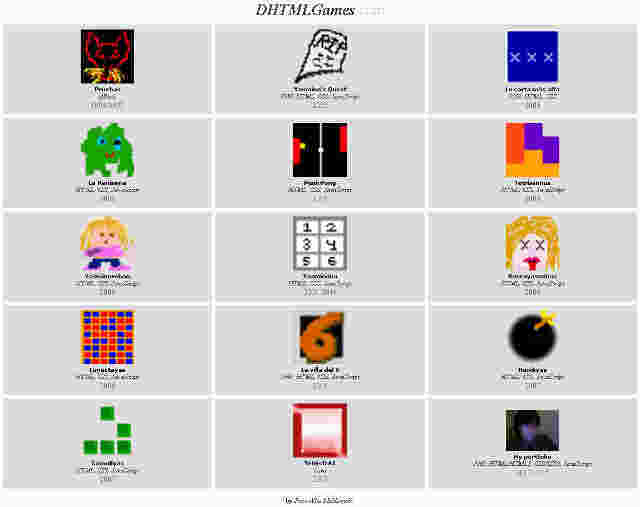 HTML_first folder (1996 to 1998 or 2001): HTML exercises from 1996 and some other works that I forgot why and when I made them (including a Microsoft FrontPage practice). 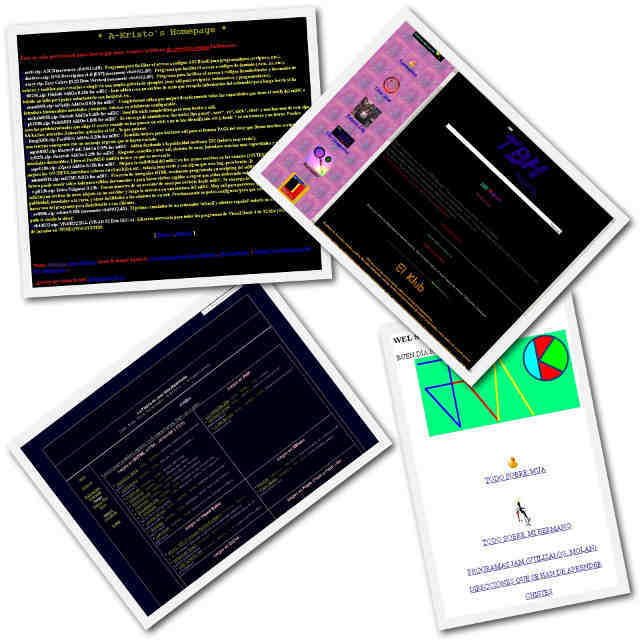 A-Kristo's Homepage (2001): simple HTML page to download some of my programs and scripts with a few links and not too much more.